Carl Bildt is a former Prime Minister of Sweden and the current Foreign Minister in the coalition government led by the less-than-acceptably-leftist Moderate Party (Moderata samlingspartiet). All major political parties in Sweden are pretty leftist by American standards, but the bar is set much higher in Sweden, and by local standards Carl Bildt is a right-wing extremist. Add to this his outspoken views and his business associations with the corrupt Russian energy business, and Mr. Bildt can expect trouble. It appears that Swedish politicians are not immune to the same kind of high handed investigations that Finnish bloggers have been subjected to. As of yet, I do not know what the offensive comment that appeared on Bildt’s blog might have been, I have my sources checking it out. Intimidation is one way of enforcing speech control even without the enforcement of an actual law. Police and the district attorney’s office may have to investigate Sweden’s foreign minister Carl Bildt’s blog or internet diary, which has had a complaint filed against it. According to a complainant, Bildt is guilty of incitement of a national group, when he did not remove a comment that clearly broke the law. Readers were able to read the highly anti-Palestinian comment for weeks [Oh, the Horror! — ed.]. Carl Bildt said in a new radio broadcast that he prevented readers from commenting further, but left the prior messages viewable. “I could remove them, but they would remain in the archive. That’s the problem. Getting rid of the messages would not have made a great difference”, Bildt said. The Swedish Chancellor of Justice decided on Wednesday that Bildt’s website did not enjoy and special constitutional protection, nor does the matter belong to the attorney general’s office, but to the police and district attorney. The Stockholm police have already left the matter to the district attorney who will decide on whether to initiate an investigation. Ah, yes, hets mot folkgrupp rears its ugly head again — “incitement against an ethnic group”, the old standby used by the European nanny state against those who commit thought crimes. It’s kind of like the “slandering the Soviet state” laws under the good ol’ USSR. You’re a “racist”: now it’s time for you to be cast into the outer darkness. He dissed the Palestinians — well, he should know that there are limits, even in Sweden. His detractors say Bildt should stick to traditional forums for communication. “He can’t be just a private person when he talks about questions related to his field of work,” Gothenburg University journalism professor Kent Asp told Agence France-Presse. He said if Bildt wants to write a blog, he should limit his comments to those of a private nature. But not all share this view. “Members of the government have a political mandate and everything they do therefore takes on a political dimension … A member of the government is not just any ‘chatter,’“ a former newspaper editor, Bertil Torekull, wrote in a opinion piece published in Sweden’s largest morning daily, Dagens Nyheter. Peter Wolodarski, an editorialist at Dagens Nyheter, takes Bildt’s side in the debate, defending his blog entries as “a welcome complement to the interviews and official commissions, not a substitute.” Meanwhile, Bildt’s musings remain hugely popular among the Swedish public. The blog has had almost 400,000 visitors and hundreds of comments posted by readers since its launch. The “new Europe of freedoms” seems to me to be a lot like the old Europe of jackboots, censorship, and the secret police. Next up: France. I’ll blog on the situation there when I have time. Is "Kalle" now gonna become a world celebrity? "About the Palestinians you can only say this: let them all burn in hell as long as their only objective is to obliterate everyone of us Jews. These parasiteing(spongeing?) mass murderes has no raison d'être." "What good does the Palestinians do on this earth? In a steady and continous stream thet are giving birth to new terrorists? They brain wash their kids to become massmurdering-muhammedans? By begging they are collecting development assistance? They kill innocent people? Oppress their women? Not the hell do they do anything reasonable? They are and they remain just worthless riff-raff." That (aproximately translated from Swedish) is what Kalle was writing the 20th of March in the year 2007 as a comment that was left remaining on Carl Bildt's blog and this might become the reason why the Swedish foreign minister Carl Bildt according to the so called 'BBS-law' (Lag 1998:112) might be put behind bars. You have - you must know - an "obligation to erase certain messages" -- declares the law. It is not decent to suggest that they all should burn in hell - we kafirs should not take to the same inflammatory requests as faithful muslims do, but disregarding this, did Kalle bring forward any obvious lies! Doesn't a spade remain a spade? And -- do the do anything reasonable down in Gaza? Have they ever done? For the sake of completeness I have to add that Bildt was reported to the police by a blogger colleague, the always exorbitant upright 'Jinge' (jinge = 170 000 hits on Google; Jan-Inge Flückt -- jinge@jinge.se), one of all those xenophiles + halal-hippies + islam-huggers + multi-culti-advocates and mohammed-apologetes that we are abundantly supplied with in Sweden - a neo-quisling being on the increase. Other even more prominent neo-quislings in Sweden: Mona Sahlin, Carin Jämtin, Lars Ohly, Mattias Gardell, Per Gahrton are together having a "manifestation" the 7th of June on the most central place in Stockolm: Sergels Torg -- by loyal subjects called 'the Pit', because this 'town square' is subterraneous and the home par preference for the capital's drug selling. Mustafa Barghouthi, Palestinian Minister of Information, is also performing. So much about Sweden/Palestine for now. "Insulting Turkish Identity" is still a crime in Turkey. Hrant Dink, editor of the newspaper AGOS, was convicted of this "offense" in 2005. And was assassinated this past January 19th by "a 17 year old ultra-nationalist", sealing the deal. 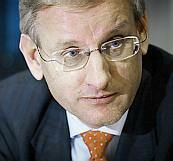 Today the Swedish minister Carl Bildt foreign affairs came out in support for the Dutch government. He said he supported censorship, freedom of expression does not include offending other people.